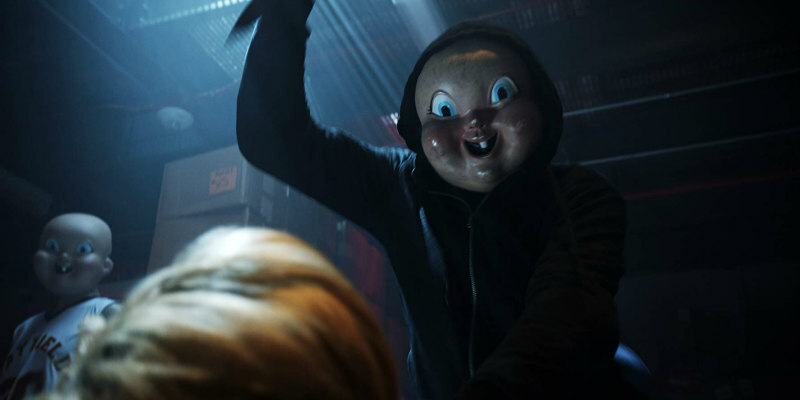 Today, February 2nd, is Groundhog Day, so what better time to check out the first clip from Happy Death Day 2U, the upcoming sequel to the hit horror that gave us a slasher spin on the Bill Murray movie. The sequel sees Jessica Rothe return to the role of student Tree, who once again finds herself forced to relive a day that keeps ending with her death at the hands of a masked killer. The first clip, which you can check out below, sees said masked killer in action.